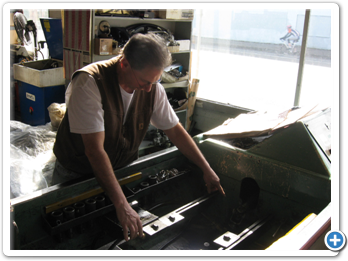 Before a rebuilt engine goes out the door, Portland Engine Rebuilders performs extensive quality control tests. As part of the quality control process, PER tests each engine on their SIMTEST QC180 Quality Control Engine Test Station. 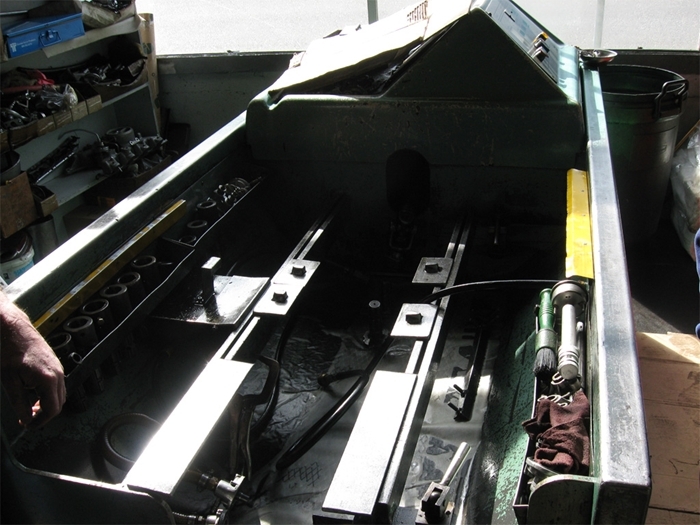 The machine allows you to lock a long block into place. You then connect pressurized oil lines and a driveshaft that connects to the engine’s crankshaft. The SIMTEST machine holds 25 gallons of oil and it’s pre-heated to 365 degrees, plus or minus one half degree. “There’ll be a certain amount of oil flow through every engine family, and right on our work orders it tells you what the oil flow bleed-off rate is supposed to be. If there is an oil flow problem, it’ll point it out and blink at you. It’s pretty hard to miss it. While in the SIMTEST machine, the engine does not have its sheet metal installed. Instead of returning to the engine’s oil pan, it drips into the SIMTEST machine’s base, where it goes through a pre-filter. “The pre-filter catches the corn cobs and chicken feathers and then the oil goes into a receptacle and through three different tiers of settling out,” said Ted. “If anything does get through, it settles to the bottom and then through three different oil filters with no bypass valves. It goes through a 50 micron filter, a 25 micron filter, and then a 15 micron filter. The oil is triple-filtered and comes out clean. We service our filters every month. As a rule, PER returns engines to customers in long block form. That is, the engine is assembled and tested but the pan, valve covers, and other sheet metal has been hot tanked, but not installed. But in some cases the customers want to do their own assembly. The quality control testing gives PER a sense of confidence when an engine goes out the door. 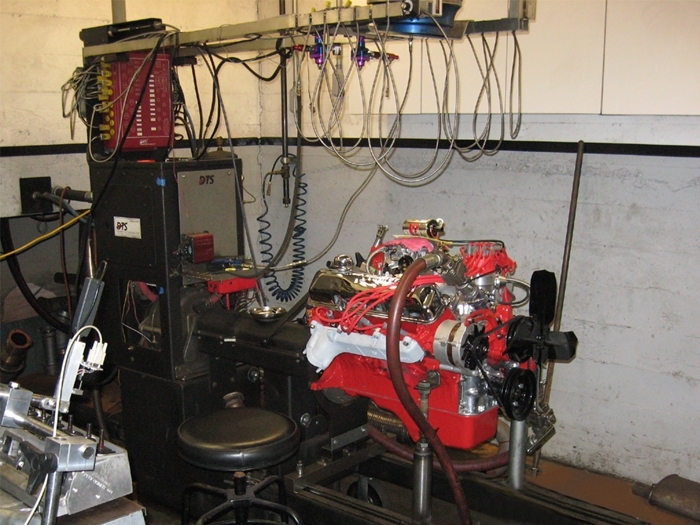 As a final test, PER has a dynamometer for measuring an engines horsepower and torque output, but dyno testing requires the engine be fully assembled and operational. This works best if the engine is carbureted, but it can be done with fuel injected engines in some cases. 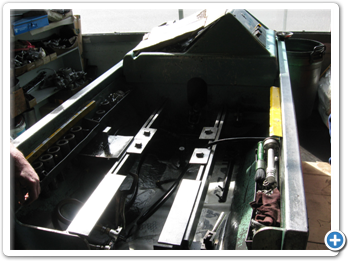 It explains the test process from setting up a dynamometer test facility to testing for performance and durability. This book explains how a dyno works, describes what kinds of data a dyno test can produce, and then shows you how to plan a test session that will give you the results you re looking for. 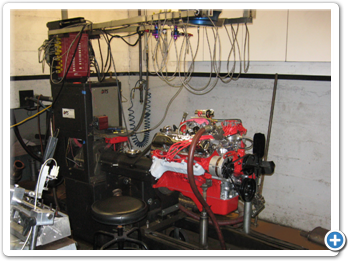 You ll learn what to look for in a dyno facility, how to conduct a dyno test and ensure the accuracy and repeatability of your test, and how to troubleshoot any problems that arise.